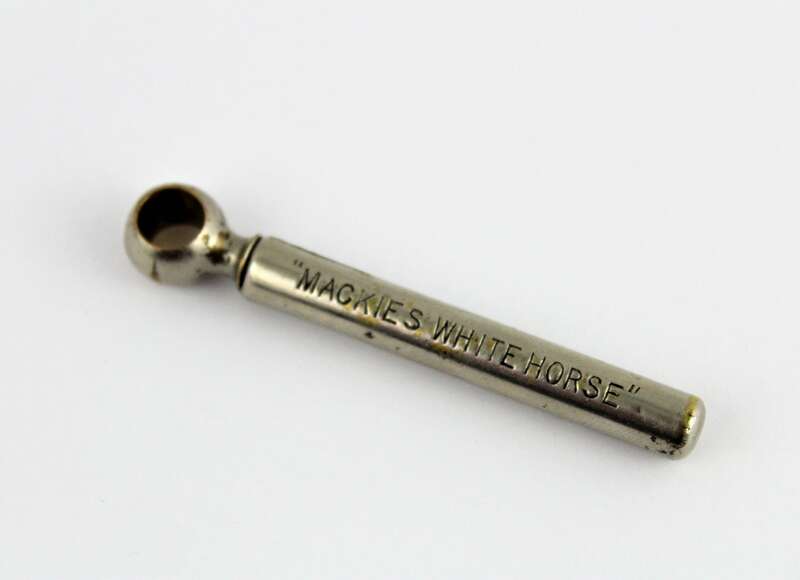 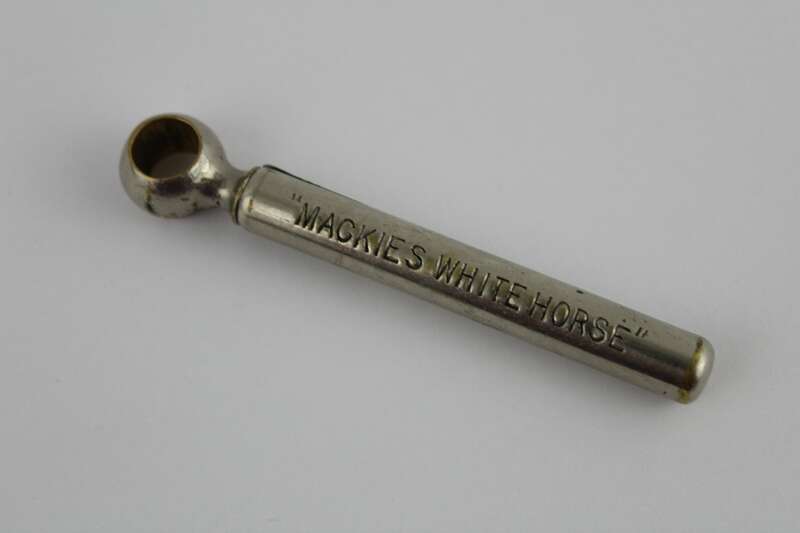 We have for sale a Vintage Mackies White Horse Whiskey Corkscrew Advertisement Corkscrew. 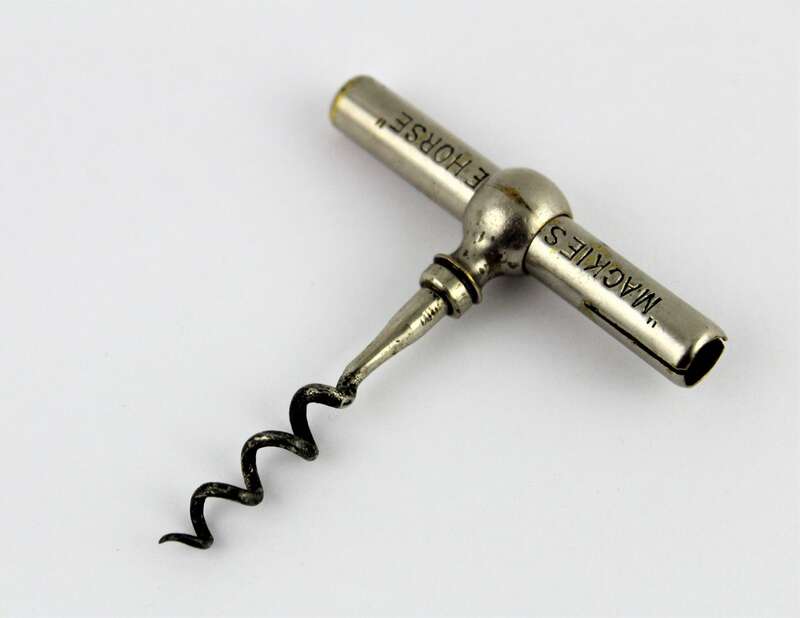 Wonderful 1900s Picnic or pocket style corkscrew with the advertisement imprinted into both sides of the sheath. 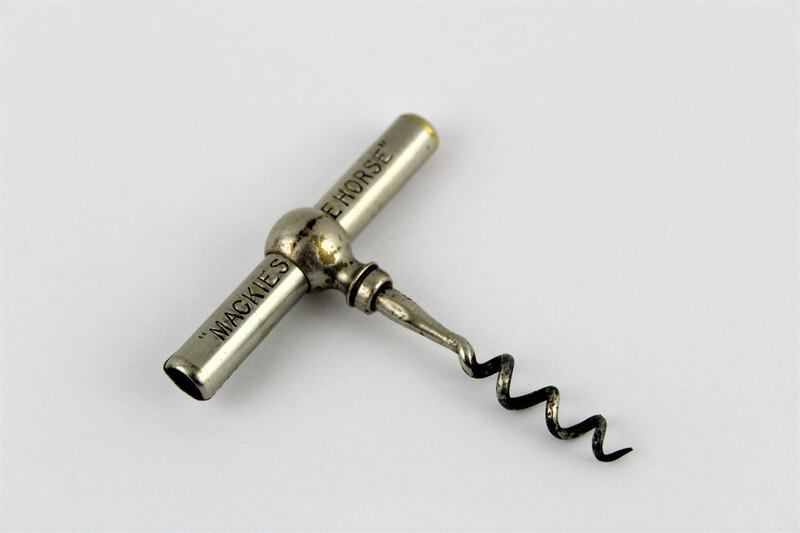 This is an odd but very collectible style of corkscrew. 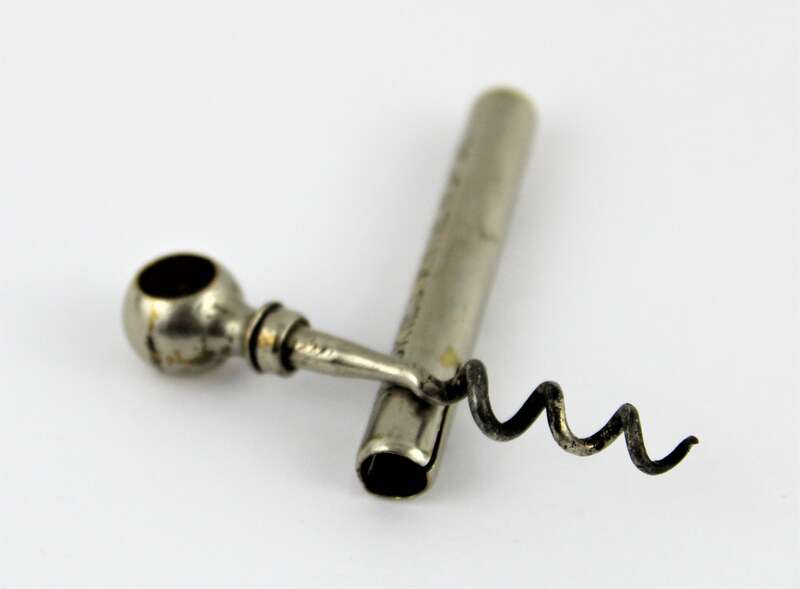 Some think it is damaged when first looked at but that is wrong the sheath has two ¾” cuts at the open end to allow it to securely snap over the shank of the corkscrew when stored. 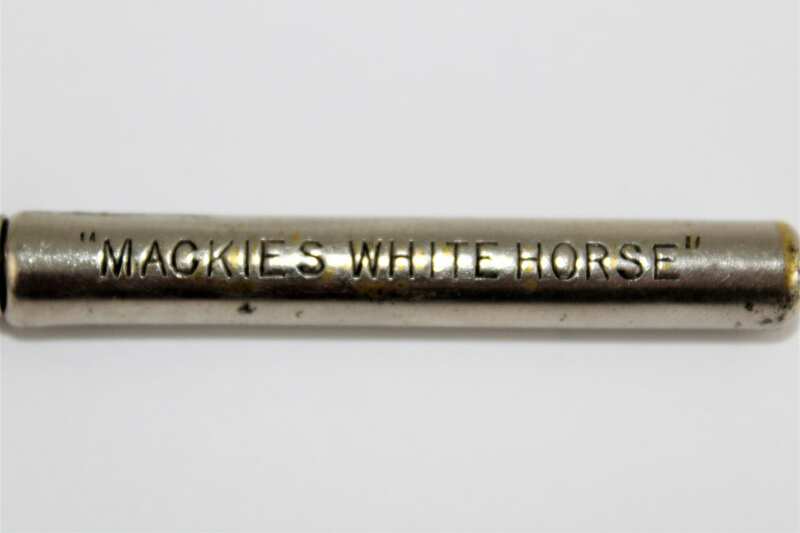 Some of these can be difficult to remove and may require a strong hand. 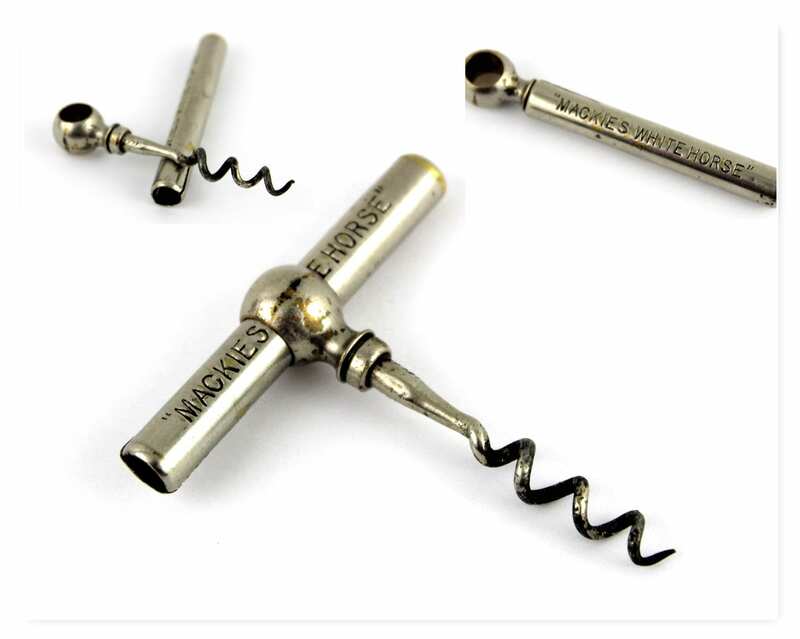 Condition: very good with plating wear and discoloration on the steel corkscrew.